The Reserve Bank of Australia (RBA) minutes are scheduled for next Tuesday at 1:30 GMT. US Retail Sales are slated on Monday at 12:30 GMT. The AUD benefitted this week from a wave of positive sentiment as China says it is ready to open its economy and push free trade. 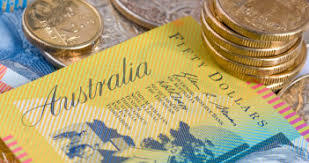 The AUD/USD is trading at 0.7767 up 0.16% on Friday as the second week of April is coming to an end. The Australian dollar gained as much as 150 pips over the last days as earlier in the week Chinese President Xi Jinping said that he intended to open up its economy and push for free trade. Therefore alleviating the China-US trade war tensions. China is the first Australian’s trading partner and therefore the positive trade news also affected the AUD. Additionally, an increase in Chinese import also helped to the positive sentiment. Coming up next week on Monday in Australia is the New Motor Vehicle Sales for January released by the Australian Bureau of Statistics. The news shouldn’t be a market mover. However, Tuesday will see the much more important release of the minutes of the Reserve Bank of Australia meetings which are published two weeks after the interest rate decision. In the US, next Monday will see the release of the Retail Sales dataset at 12:30 GMT and a speech from Raphael W. Bostic who is a voting member of the Federal Open Market Committee, scheduled at 17:15 GMT. Earlier in the week on Wednesday in Australia, RBA Governor Phillip Lowe said rates are “unlikely to move anytime soon” therefore keeping the same rhetoric. On Thursday, Consumer Inflation Expectations for April decreased from 3.7% to 3.6% without much negative impact on the AUD.